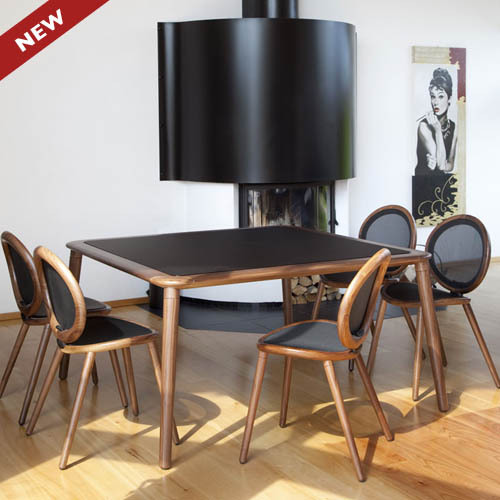 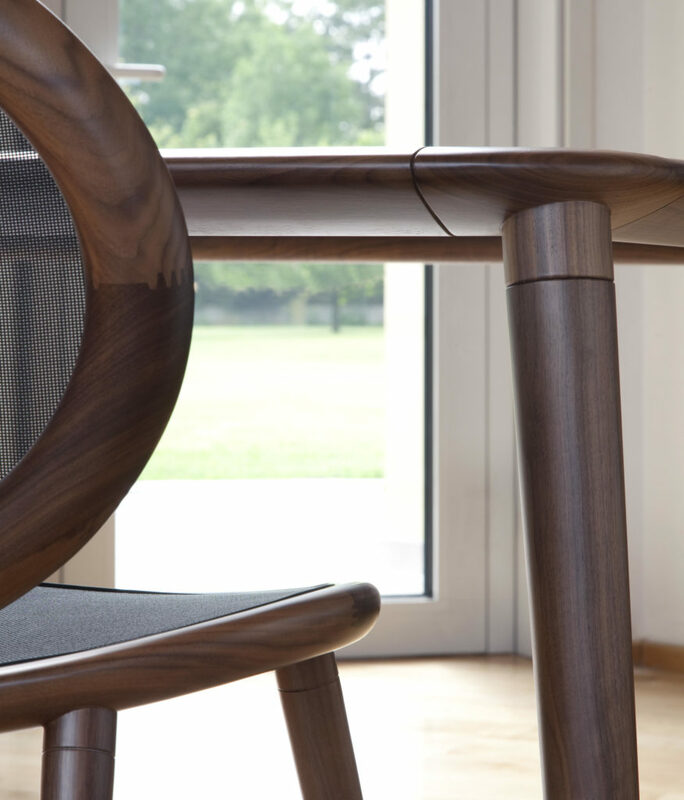 Jonathan table is a masterpiece of the solid wood manufacturing, proposed both in rectangular and square shape. 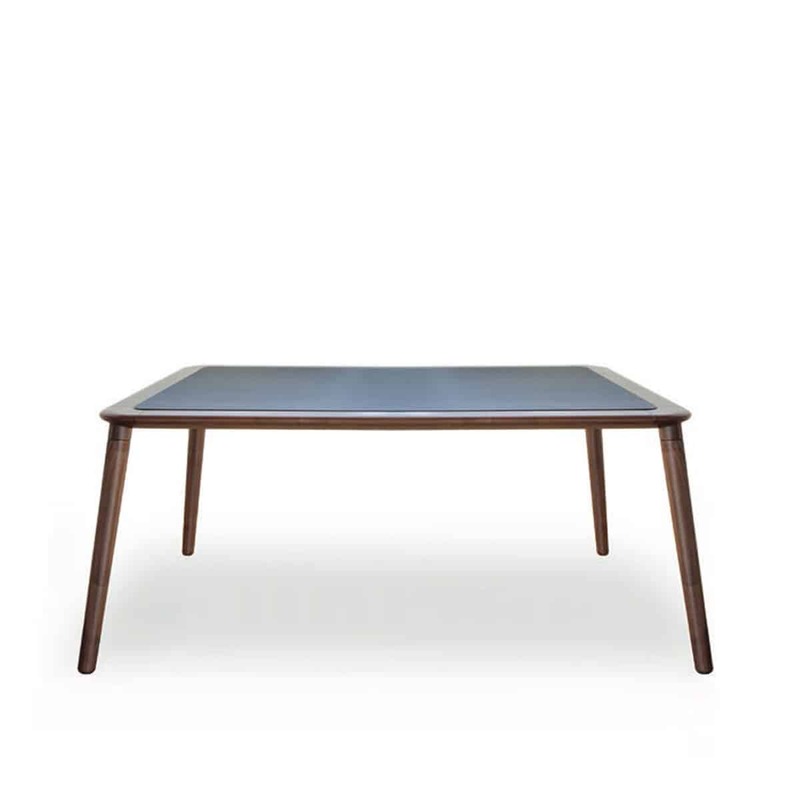 High quality details, perfect harmony in the proportions, tapering legs, soft lines of the solid wood top reflect the high quality level of Tonon in the handcrafted/industial manufacturing.The semi-transparent security glass in anthracite colour, is slightly higher than the table wooden edge and it’s mitre cut. 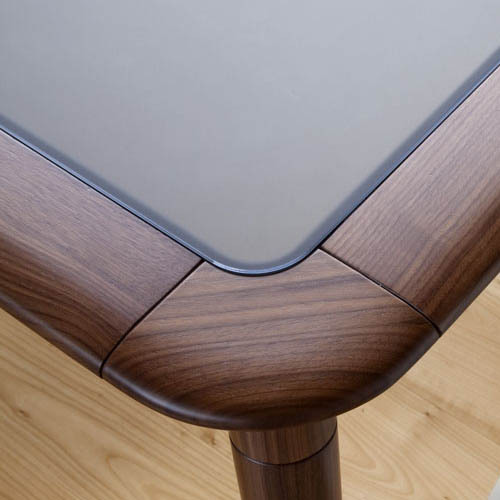 The anti-touch treatment on the glass top is an additional technical detail which prevents the fingerprints spots.